A hard rock band Japan has been waiting 30 years for since LOUDNESS. 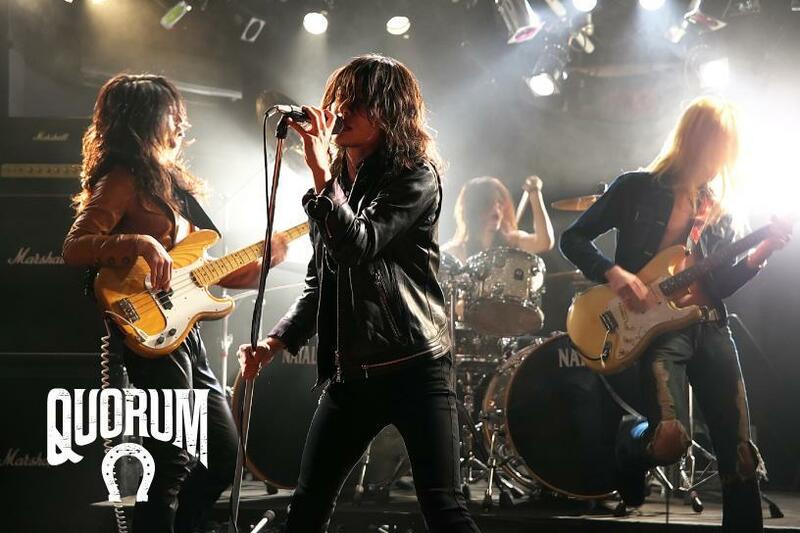 Four young men with an average age of 22 years got together in Tokyo and formed QUORUM in 2013. They respect and are influenced by Jimi Hendrix, Led Zeppelin, and Tower of Power. Their distinct ‘70s, bluesy, laid back hard rock style, has earned attention among crowds of the Tokyo underground music scene. Their debut album with 5 tunes was released from an independent label in February 2014. They were personally invited to perform the opening act by the Canadian hard rock band, ANVIL during their Japan tour.